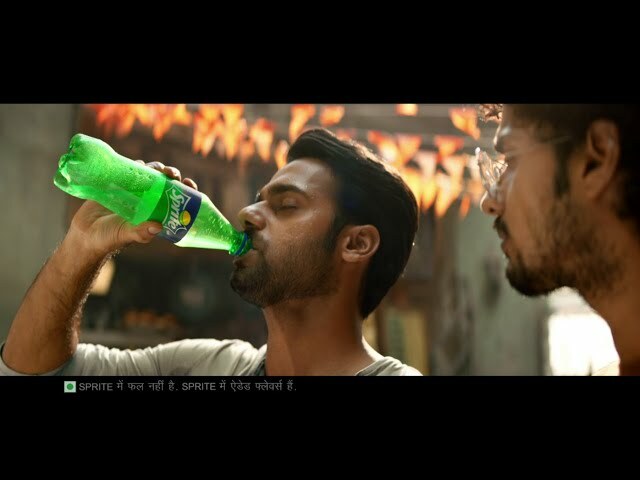 New Delhi, 9th April, 2019: Taking the summer campaign a notch higher, Coca-Cola India’s leading sparkling beverage – Sprite has introduced interactive storytelling to engage with the consumers for its ‘Sprite vs Summer’ campaign. The campaign accentuates the brand’s evolution as the ultimate refresher by emphasizing its cut-through clarity, honesty and fun-loving way to look at the simplicities of life. The film opens with two friends sitting on the steps outside a shop where the protagonist is holding a bottle of Sprite, while his friend is fanning himself with a newspaper, seeming to be restless and fed up with the heat. His friend then proposes for ideas to beat the summer heat by going to an air-conditioned theatre to relax, travelling to a hill station to enjoy the cool breeze or take a cold shower to refresh. The film progresses basis the selection made by the viewers while watching it on digital platforms. The protagonist takes a swig of his Sprite, as all the plans of the friend seem to fail. The friend ultimately realises that these brilliant ideas may or may not work, but the one idea that will always work is a simple refreshing Sprite. The summer campaign will be supported by a robust integrated marketing campaign, including TV commercials in eight languages- Tamil, Telugu, Kannada, Marathi, Bengali, Oriya, Malayalam and Hindi. The Tamil film features Indian film composer Anirudh Ravichander and comedian Daniel Annie Pope, wherein the Telugu film features comedian Darshi. Sprite is also the beverage partner of the IPL teams Kolkata Knight Riders (KKR) and Sunrisers Hyderabad (SRH). The campaign will also see innovative temperature-based activations on digital platforms. In case of an increase in temperature, for instance above 45 degrees, consumers in the particular city who click on the online banner will get a chance to receive a free Sprite sampling coupon. Coca-Cola in India is one of the country’s leading beverage companies, offering a range of healthy, safe, high quality, refreshing beverage options to consumers. Since its re-entry in 1993, the company has been refreshing consumers with its beverage products – Coca-Cola, Coca-Cola Zero, Diet Coke, Thums Up, Thums Up Charged, Thums Up Charged No Sugar, Fanta, Limca, Sprite, Sprite Zero, Maaza, VIO flavoured milk, Minute Maid range of juices, Minute Maid Smoothie and Minute Maid Vitingo, Georgia range of hot and cold tea and coffee options, Aquarius and Aquarius Glucocharge, Schweppes, Smart Water, Kinley and Bonaqua packaged drinking water and Kinley Club Soda. The Company along with its owned bottling operation and other bottling partners, through a strong network of over 2.6 million retail outlets, touches the lives of millions of consumers, at a rate of more than 500 servings per second. Its brands are some of the most preferred and most sold beverages in the country – Thums Up and Sprite – being the top two selling sparkling beverages.